Snow day today? Tell the kids to put down the devices and come bowling! Bowling is exercise for the whole body – not just your thumbs. Please call ahead to verify lane availability. The Tap is not just a typical neighborhood bar. Bowling’s not your thing? No problem! 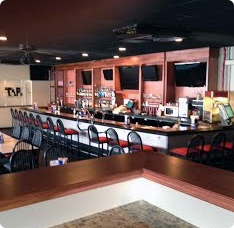 The Tap is a great place for you and your friends to stop in for food and drinks. Enjoy this clean and entertaining environment that provides pool tables, TVs for your favorite sporting event, an outdoor patio for enjoying that perfect weather, and more! When you’re looking for a great time, be sure to make The Tap your first destination. 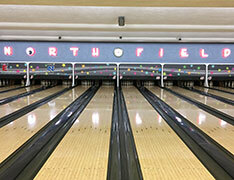 Every Tuesday, Wednesday, and Thursday after 9:30PM you can bowl for just $1 per game with $1 shoe rental. Don't miss out on such cheap fun! Northfield serves hand-tossed pizza, burgers, wraps, 20 different fried foods, and more. It's all made to order in our kitchen. It's not fast food - it's worth the wait!